Chad Jackson Painting has subcontracted in new construction for over 15 years in Pasco, Hernando, Hillsborough and Pinellas Counties. Our Major focus in relation to New Construction painting is keeping on schedule and providing quality workmanship. 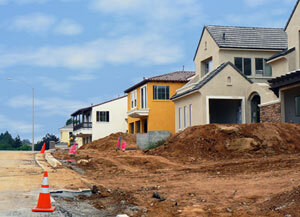 Jobsite functions included production painting, punch-outs, warranties and closings. We are sure to provide flexibility with scheduling and excellent rapport with homeowners/clients.